From the farms of the Pungo community to the depths of the Chesapeake Bay, the Virginia Beach food scene is unmatched in freshness and flavor. Our oysters will make your taste buds sing; our beer will make a hop fanatic out of anyone; and the blue crabs here are a local delicacy that can’t be topped – except, of course, with a healthy pour of melted butter. We’re a seafood-obsessed, brunch-loving, oyster-slurping, orange-crushing, beer-tasting bunch of gastronomes who prefer our sustenance seasoned by the salty sea air of the Atlantic. Sometimes, however, between the fried rockfish and the Bloody Blues, we just need to dough-up and dig in to a slice of ooey-gooey cheese-topped nirvana. We’ve listed a few of our favorite unique pizzas from around the Resort Beach to get you started on your quest for the perfect pie – with a bit of a twist. 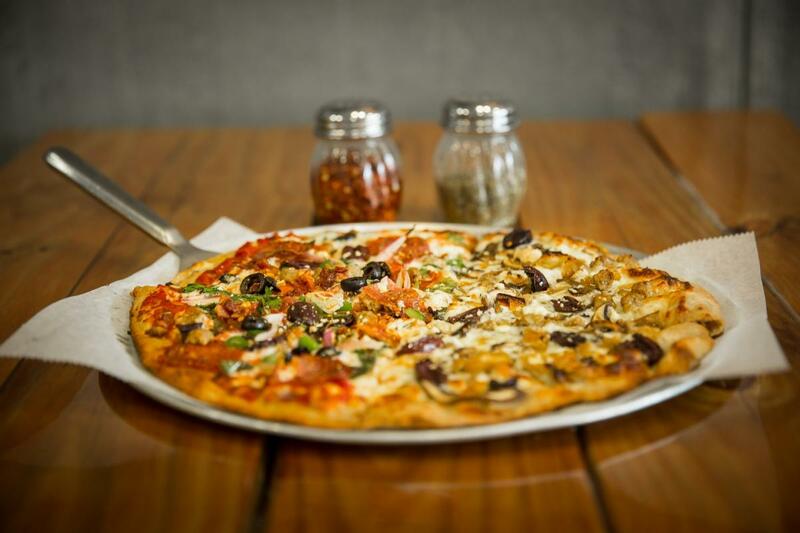 It’s hard to go wrong with any of the pizzas coming out of Hearth’s wood-fired oven in the ViBe Creative District. From the Funghi pizza to the Pig and the Goat, all of Hearth’s pies are full of flavor and worth a try, but there’s just something about the combination of sweet and spicy on the Sweet Dave that keeps us coming back for more. 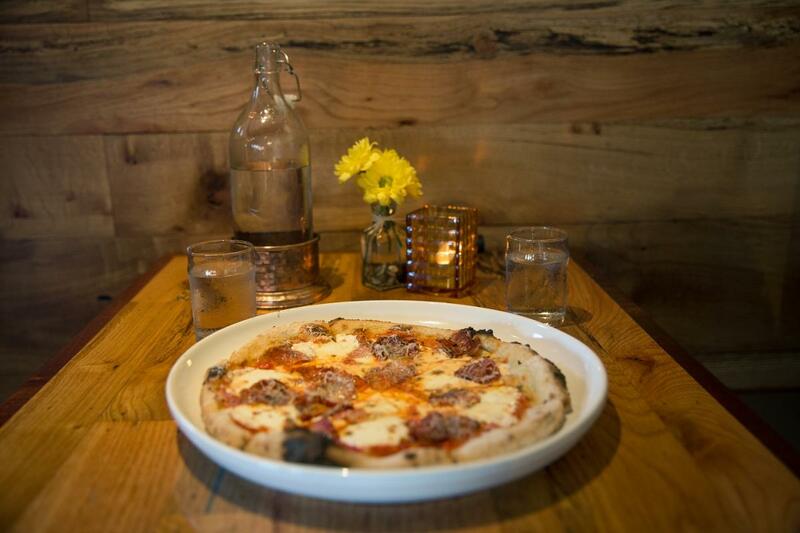 It may sound strange, but the drizzle of raw wildflower honey, unfiltered and naturally produced at a Northern Virginia apiary, takes this pizza to a whole new level. With bratwurst, sauerkraut and their signature seasonal beer mustard, this substantial pie is dishing up a slice of Germany from the Hilltop community of the Resort Beach. While you can’t go wrong with any of their beers, we suggest washing it down with the crisp house-brewed Angler Altbier, the German equivalent to a traditional brown ale. While all of their pizzas are delicious, our favorite part about Pie-o-neer is the ability to build your own pizza with unlimited toppings at their well-stocked pizza bar. So, go ahead and go crazy. From cheese and anchovies to peppers and pepperonis, you can have it all at this place, just a few miles away from the boardwalk. 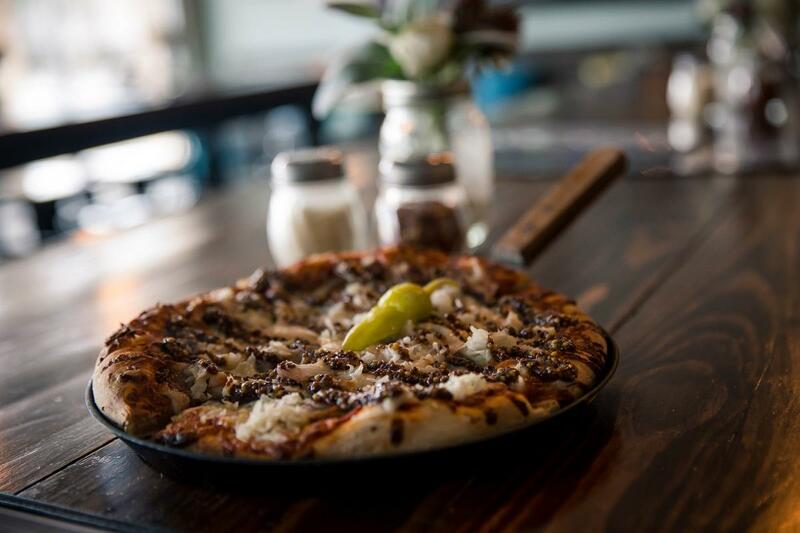 From wood-fired to German-inspired, VB’s Resort Beach is tossing some pies that are sure to surprise, no matter how you slice it.